Congratulations, you just won the lottery. You now belong to an exclusive group of people who have stumbled upon the elusive intersection of luck and wealth. Although this is an exciting time for you, keep in mind that many of your predecessors have allowed this moment go to waste. Thanks to the ease at which lifestyle inflation seems to increase in the aftermath of effortless financial gain, it is not difficult to spend most of your winnings in a hurry. How can you avoid this fate and make the most of your new fortune? Aside from immediately signing the back of your lottery ticket, which is nothing more than a bearer instrument, you would be smart to sit down with a tax professional. In most instances, the distribution of lottery winnings occurs all at once via a lump-sum payment, or you can choose to receive the funds over a period of years from an annuity. Although it may be tempting to claim your entire prize right away, remember that you would only receive the jackpot’s cash value in the event that you choose the lump-sum option. Regardless of which payout option you pick, you will face some significant tax consequences. For example, the winner of Powerball’s Grand Prize, which currently starts at $40 million, will be required to fork over 39.6% of their winnings to the federal government (the top federal income tax rate in 2017 is 39.6%). If your lottery prize is large enough to merit taxation, it is highly suggested that you sit down with a tax professional to discuss your options prior to making a payout decision. While you explore your payout options, you should also think about what you want to do with your money once the check is in your hands. 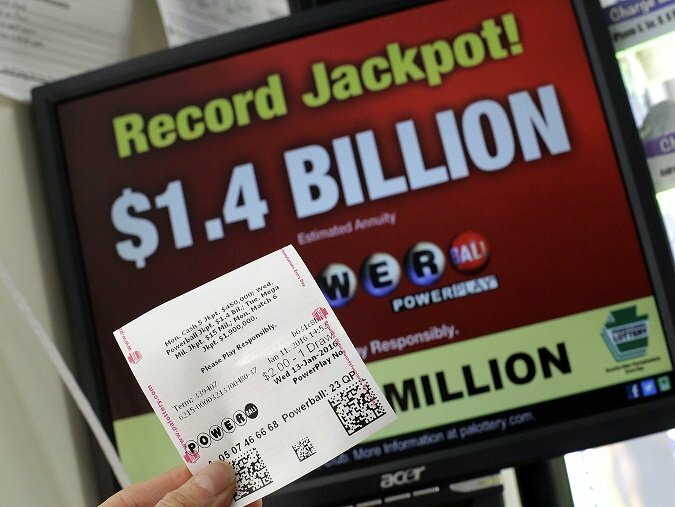 It is common to hear horror stories about lottery winners who squander their luck by exercising poor judgment and spending frivolously. However, there is another option: you can eliminate existing debts and better leverage your winnings by meeting with a financial advisor to explore ways to invest your money. An advisor can work closely with you to develop a long-term financial plan in order to help you achieve your goals and work to ensure that your winnings are in a position to grow. Along with sitting down with a tax professional and a financial advisor, it is also critical for winners of large lottery prizes to meet with an attorney who specializes in the development of estate plans. An estate plan may be necessary if your estate is suddenly vulnerable to estate taxes, for example. The establishment of a trust may go a long way in protecting your wealth from this tax. Trusts also protect assets from the hefty costs typically associated with the probate process. Having a cohesive team consisting of a tax professional, financial advisor, and estate-planning attorney will help to mitigate many of the potential pitfalls and stresses associated with the swift and unexpected accumulation of wealth. I am convinced that it is a much better idea to add money to your retirement savings every week instead of purchasing lottery tickets and hoping that lightening will strike. After all, the odds of winning Powerball’s Grand Prize are a lousy 1 in 292,201,338. However, if you are the lucky winner of the next lottery drawing, keep these suggestions in mind. In my opinion, having a team of professionals on your side will provide more peace of mind than money can buy.